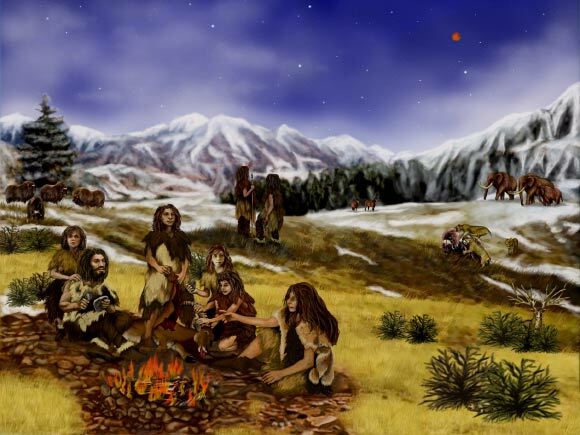 Neanderthals lived during one of the coldest periods in recent (pre)history. They thrived through a bitter ice age that saw much of northern Europe covered in glaciers. Surely this limited how far north they lived. However, researchers Nielsen et al. think we’re selling Neanderthals short. The ice age was interspersed with warmer periods – well, what counts as warm during an ice age. Perhaps they spread north then1. Different phases of the Neanderthal’s ice age. Some weren’t so bad2. Unfortunately for Nielsen and company’s pet theory, the fossils are missing. We’ve not found any Neanderthal sites beyond Germany, even in those warmer times. So that’s their idea blow out the water. Don’t get me wrong, there is definitely a dearth of Neanderthal sites far north. The thing is, Nielsen et al. think that might be caused by something other than “no Neanderthals”. Maybe we simply haven’t found them yet1. Or rather, we may well have found them but we don’t realise they were made by Neanderthals. We’ve found several sites in Denmark, but their age is uncertain. Without any associated fossils, it’s hard to justify the claim Neanderthals lived there1. The most northern sites are also the ones with the most insecure dates. I guess there’s a lot of pressure being that northern1. Part of this uncertainty – and general scarcity of sites that far north – might be a by-product of the following glaciation. As glaciers spread across Scandinavia, they often damaged the ground below them. Much of the evidence may simply have been smashed by the very ice age that makes people doubt Neanderthals lived there1. Those dastardly glaciers, they thought of everything! Of course, this creates a bit of a problem for Nielsen et al. How can we figure out where Neanderthals lived when there’s no evidence of, you know, where they lived? The Eemian period is one of the less harsh phases from the last glacial period. We’ve found more than 30 Neanderthal sites from this period that have a solid record of the local environment. Although they’re all too far south to settle the debate over northern Neanderthals, they do give us a good idea of the conditions Neanderthals liked to live in1. So Nielsen et al. used this data to create a map of Europe, ranking regions on how close to “optimum Neanderthal” they fell. And, surprise surprise, a good chunk of Southern Scandinavia fell quite high on this ranking. So it seems that Nielsen et al. were right all along: Neanderthals could have made it further north than we thought1. The habitat suitability of South Northern Europe. Black squares are confirmed Neanderthal sites, showing they could tolerate anywhere between red and white1. Of course, a computer saying Neanderthals lived somewhere doesn’t mean they actually did. There could be something else stopping them spreading north. Maybe there was a mountain in the way. Or they just didn’t like the smell. So Nielsen et al. also went looking for other factors which might limit their northwards expansion. Sure enough, they found the sea sometimes got in the way. Whilst landbridges existed across much of Scandinavia during the glacial period, sometimes the landscape looked more like it did today; cutting apart the landmasses. Thus, sometimes the Neanderthals would have been trapped south1. But not always. Sometimes the stars aligned and the sea levels dropped and the land remained habitable. During those periods there’s no reason for the Neanderthals to not expand north. So perhaps they did1. Hopefully, now we can start looking for them outside of a computer. Nielsen, T.K., Benito, B.M., Svenning, J.C., Sandel, B., McKerracher, L., Riede, F. and Kjærgaard, P.C., 2017. 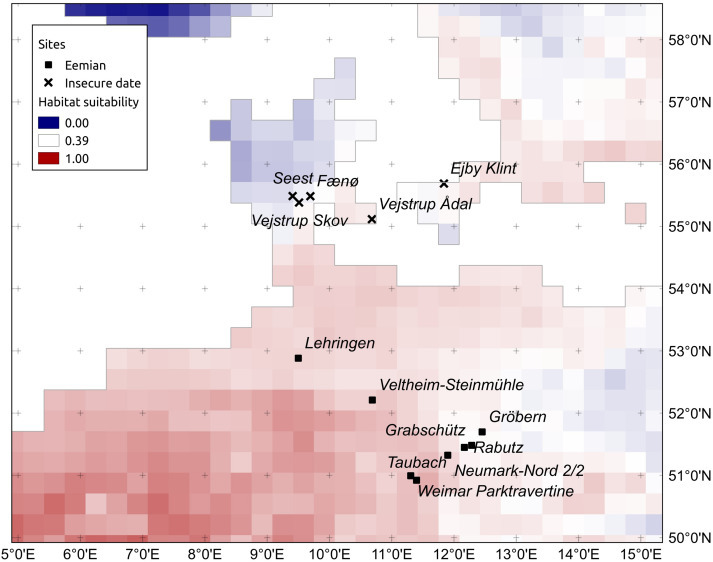 Investigating Neanderthal dispersal above 55 N in Europe during the Last Interglacial Complex. Quaternary International, 431, pp.88-103. Lokrantz, H. and Sohlenius, G., 2006. 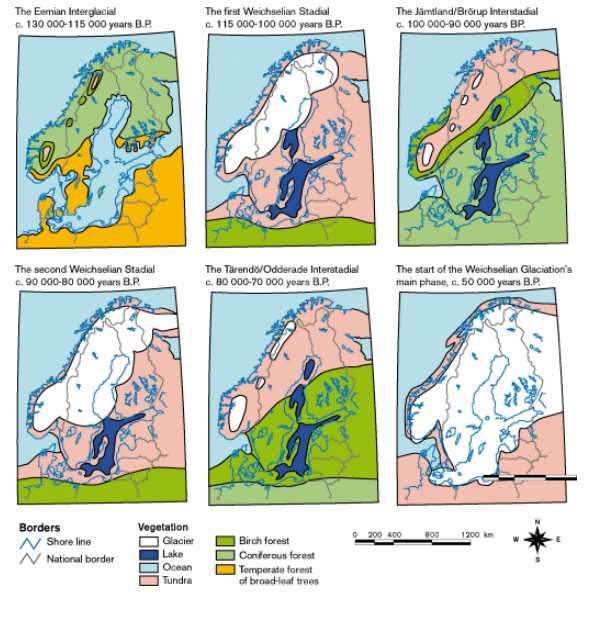 Ice marginal fluctuations during the Weichselian glaciation in Fennoscandia, a literature review (No. SKB-TR–06-36). Swedish Nuclear Fuel and Waste Management Co..
Next post: Did body odor evolve to scare of predators? I like how we’re learning more things from people basically just thinking about things differently. I think the Neanderthals were more than capable of living that far north—how else could there be relic populations living there that became the basis of the many legends of Dwarves and Trolls the Scandinavians have in their folk-lore and mythology? (That’s sort of a joke…sort of.) I wonder how much potential fossil evidence has been destroyed by glacial action–could that explain the lack of Denisovan evidence? The Denisovans lived much further east. Whilst that might help them avoid glaciers, they come with their own set of problems. Notably, since we’ve only found their genetics we don’t know what they actually look like. It might be the case that we’ve found dozens of Denisovan fossils, but failed to recognise what they are.